Steven (Chicagoland, United States) on 5 June 2009 in Lifestyle & Culture and Portfolio. 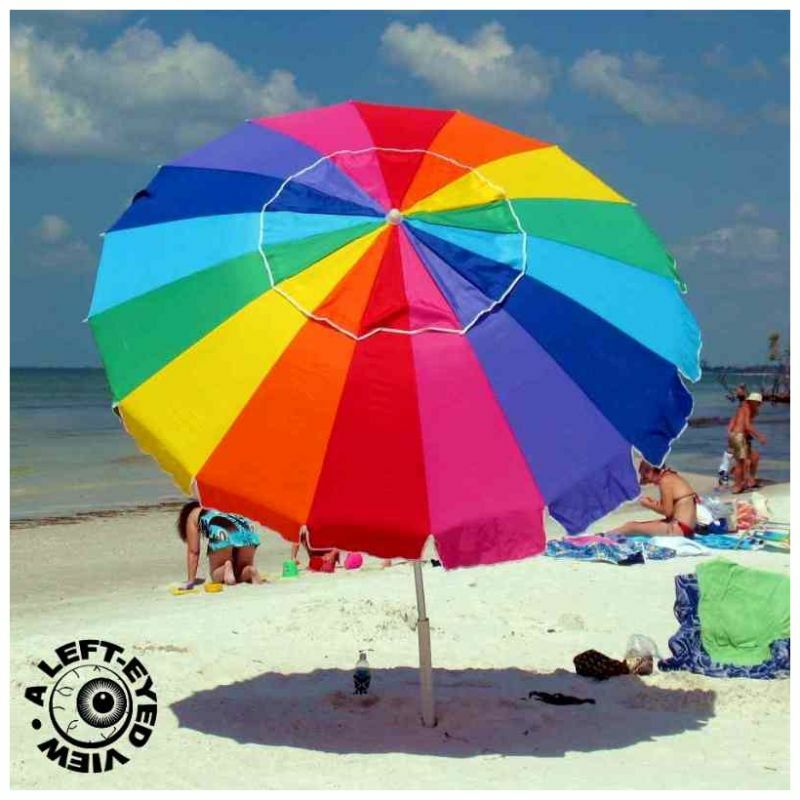 A photo captured of an umbrella nearby while on the beach of Fort Myers Beach, Florida. This marks the end of all the highlights from my vacation in Fort Myers Beach. Now it's time to put my "point and shoot" Canon away and get caught up on what I have been photographing since late March with my Sony DSLR. Photo taken on Saturday, March 21, 2009. A perfect close to your very colorful series. The sunsets were a delight. Where are my sunglasses? Almost too brilliant to view.